A shapeshifter hero battles ancient spirits, a covert government agency, and his own dark past in a race to solve a series of murders that could mean the end of the world. Set in modern day Northern Canada and with an introduction by Charles de Lint, THE WOLF AT THE END OF THE WORLD is my first novel. Cree and Ojibwe legends mix with current day environmental conflict in this fast-paced urban fantasy that keeps you on the edge of your seat right up to its explosive conclusion. An excerpt and buying links can be found here, along with a special discount on pre-orders. Estimated release date: October 15, 2013. 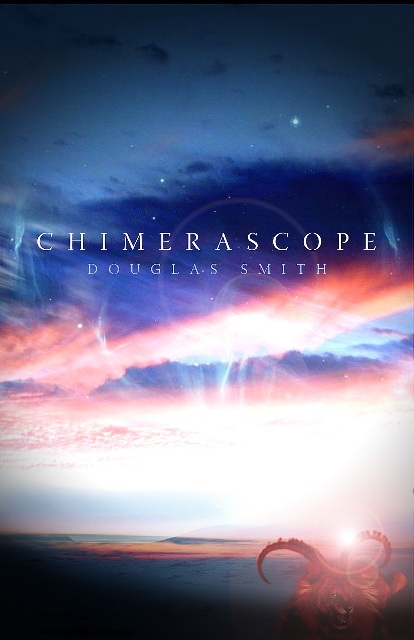 My first full collection, Chimerascope was a finalist for the juried Sunburst Award, the CBC's Bookies Award, and the fan-voted Aurora Award. Chimerascope contains sixteen of my best stories, including an Aurora Award winner, a Best New Horror selection, nine Aurora finalists, and three Year's Best Fantasy & Horror honourable mentions. Click here to learn more, including the table of contents, reviews, excerpts, and how to order. Impossibilia, my first collection of short fiction, contains two original novelettes, "A Bouquet of Flowers in a Vase, by Van Gogh" and "Going Down to Lucky Town," plus a reprint of my award-winning novelette, "Spirit Dance," the story on which my novel, THE WOLF AT THE END OF THE WORLD, is based. Impossibilia was a finalist for the Aurora Award. Click here to learn more, including the table of contents, reviews, excerpts, and how to order. If you'd like to check out some of my stories before purchasing one of the above collections, you can buy any story as an individual ebook from my online store. Be sure to check out the discount coupons available before buying. Read about the official companion book to the upcoming indie movie "By Her Hand, She Draws You Down" based on my story of the same name. The book contains the original story, the storyboard shooting script, interviews, photos and much more. This provides a complete list of all of my fiction, both published and upcoming, in both chronological order by date of publication, as well as by individual story. Links to covers and reviews are also included. Read through reviews of my fiction, find a story that interests you, and then click on its publication history to find out where you can find it. Check out the complete list of the awards and nominations that I've received for my fiction. Here is where I make some of my previously published short fiction available online. Note that some stories are (or were) only available for a specific period of time. My stories have appeared in thirty countries and twenty-four languages around the world, so I've also included a selection of some translated versions of my short fiction. Feedback is always welcome. Enjoy!